Cold and windy here in Malibu - and all over Los Angeles, for that matter. Way more winter than we're used to. The downside: keeping track of hats and gloves and mufflers. The upside? 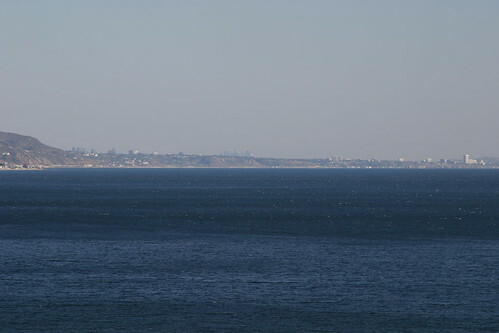 The view from the bluff in Paradise Cove this afternoon, all the way to downtown.